Discover what you need to know about gum recession treatment and how if affects you if you have periodontal gum disease. Understanding periodontal disease could be critical to your overall health and well-being. Though gum disease may seem like nothing more than an annoying oral hygiene problem, it can affect all aspects of health. Studies indicate that this disease is linked to heart and stroke risks. Can gum disease be reversed? The good news is it is possible to overcome this condition. To do so, you simply need to fully understand the condition, why it happens, and the treatment options available to you, and work with a natural dentist. In the United States, many adults have some form or severity of this condition, also known as periodontal disease. The gums and soft tissues of the mouth become inflamed and bacteria-laden in this condition. It can be minimal, with just minor gum inflammation, to serious, causing major damage to the tissues and bone in the mouth. In the worst case, the bones weaken so much so that the teeth are lost. At the heart of it are destructive bacteria. Bacteria are a natural component of a healthy mouth. However, for one reason or another, the bacteria build up to levels the human body cannot control. When your immune system becomes overwhelmed by the presence of bacteria (or if it is not working properly), it cannot control their invasion. As a result, these microscopic organisms continue to seek out food sources, including those on the surface of the teeth and gums. You may notice a bit of pink in the sink after brushing your teeth. If you look in the mirror and notice your gums receding, that, too, is likely to be this condition. Before you begin to worry, take steps to get your condition under control. Through proper oral hygiene and natural treatments, as well as a visit to your dentist, you can restore the health and well-being of your mouth and overcome this condition in many situations. It is impossible to talk about periodontal disease and not discuss plaque. Dental plaque builds up on the teeth. This plaque irritates the gums, causing pain and discomfort. The plaque is the substance that bacteria leave in the mouth. Numerous types of bacteria exist in the mouth. All of it feeds off the sugars and food debris left in your mouth. The bacteria produce waste. This waste called plaque builds on the gum tissue. Gum disease and plaque go hand-in-hand. The longer this substance remains on your teeth, the more damaging it will be. Before reversing gum disease, you need to understand what at what stage you are. Like most diseases, this one will progress as well. Over time, the condition moves from being a minor concern to being a significant problem. The following are the stages of periodontal disease you may experience. This first stage is the easiest one for dentists and individuals to treat. Gingivitis is treatable in most cases. At this level, only the gums are affected; the teeth and bone structure remain in good overall health. Gingivitis treatment is usually successful when working closely with your dentist. When this condition is not treated, it can lead to periodontitis. This is a more serious condition in which the bone and teeth become involved in the condition. At this next stage, the condition has worsened significantly. 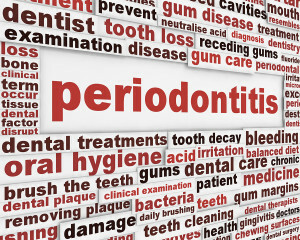 Periodontitis is not just one problem, but a series of them. In most cases, it stems from untreated gingivitis. At this level, the condition requires more invasive treatments, including deep cleaning to remove plaque and bacteria. Bacteria buildup often causes yellowing of the teeth. The bacteria cause the buildup of plaque, which builds between the teeth. Pockets or areas of open space begin to form between the teeth. This can also occur between the gum and the teeth, causing receding gums. The teeth become loose due to the limited amount of tissue holding them in place. At this stage, treatment remains possible by bringing bacteria under control and removing buildup substances on the teeth. In some cases, if this condition is not treated, it can lead to surgery requirements for removing the bacteria and plaque below the gum line. The condition can worsen. If periodontitis does not improve at this point, it is likely to cause a further development of pain and discomfort. However, the real problem lies in the damage it causes in the mouth. At this stage, the condition has damaged not only the gums and teeth but the supporting bone structure as well. Bone and ligament deterioration to the point of teeth loss. Treatment at this level is different, painful, and ongoing. Yet, at any previous stage, it is possible to bring periodontitis and gum disease under control. Another important indication of oral health is the presence and, if present, the depths of pockets. When an individual visits the dentist with this condition, he or she will measure the depth of these pockets. These pockets, which form at the gum line, indicate how worrisome your dental health is. Along with deep periodontal pockets, you may experience gum recession. Pocket depth is helpful since it indicates the stage of disease you have. 1 mm to 3 mm: This is a healthy level and does not require advanced treatment. There is no sign of disease present. 4 mm: At this level, the condition is in the warning level. At this point, treatment should begin as soon as possible to stop the worsening. 5 mm through 9 mm or more: This is the presence of advanced periodontal disease, which is called periodontitis. At the highest level, significant gaps indicate an advanced level of disease, often leading to high risks of loose teeth. This stems from the damage to the bone. In all cases, improving oral health is the goal. This helps ensure the condition does not worsen. Discover how to reverse periodontal disease naturally. Most people do not know they have this condition. However, once they learn what gum disease symptoms are, they begin to better understand that this condition is infecting them. Many people learn of the presence of gingivitis only when a dentist informs them. Yet, millions of American adults have this condition already. Knowing the symptoms of gum disease can be helpful. If you have symptoms you should seek treatment from your dentist. Bleeding gums: often minimal at first, described as a pink discharge from the mouth after brushing; over time it worsens significantly in the amount of blood loss and the coloring. Gum color changes: healthy gums are light pink; as the condition worsens, gums begin to darken, becoming bright pink to dark red in color. Tender gums: When touched, the gums are painful and tender; some people experience pain from eating some foods or even talking. Mouth ulcer formation: sores inside the mouth on the soft tissues of the gums, cheeks, or other areas form; these tend to be difficult to treat and take a long time to heal; they are painful. Swollen gums: the gums change color, but they also become puffy looking; gums that look infected. Shiny gums: gums become shinier, due to the presence of the bacteria and plaque buildup; not a result of improved oral hygiene. Halitosis: also known as bad breath; does not go away with brushing and is caused by the gasses produced by the bacteria in the mouth. Dry mouth: caused by the presence of a significant amount of bacteria in the mouth; often impossible to control or reduce with a drink. Uneven bite patterns: often brought on by serious forms of periodontitis; as teeth and gums pull apart from the structural bone underneath, it causes these gaps and changes in the structure. Tooth pain: bacteria also causes pain especially as the condition worsens, the underlying root becomes infected, or the condition is worsened by cavities. In nearly everyone who has these symptoms, gum disease is present. The best possible thing to do is simply to take action. Improving daily oral hygiene is the first step and it will begin to make improvements in the short term. It is also important to seek out a dentist if the condition is painful or worsening. Most people suffer from this condition due to the presence of bacteria. Improved dental hygiene can significantly improve the overall symptoms many people have. The right treatment can help to reverse the early stages of gum disease. To better understand the importance of getting treatment for gum disease, it is essential for people to know what causes it. The causes of periodontal disease can differ in some patients. In most situations, bacteria overgrowth is at the heart of the problem. However, it is not just the presence of bacteria that brings on this condition. Many other circumstances may be a factor that contributes to the bacterial overgrowth. This may include the following: drug use, a depressed immune system, dry mouth, smoking, and many other factors. The lack of oral hygiene may be the underlying cause of the condition. Bacteria naturally is present in the mouth. There is no way to remove 100 percent of bacteria from the mouth. In fact, it needs to be there. In healthy amounts, it helps to reduce sugars that could damage the teeth. Yet, too much is not a good thing. The problem occurs when bacteria remain in the mouth long-term. They rapidly reproduce when not properly controlled. When bacteria are present, they bind to food particles and the sugars within it. Then, it forms a white colored substance that is often sticky — plaque. Initially, it is possible to brush plaque away. However, over time, it hardens. This is called calcifying. When it happens, plaque becomes tartar. It is not possible to brush away tartar buildup and any over the counter whitening product is only changing the color of it, not removing it. As this plaque hardens, the bacteria within it do not die. Rather, they continue to produce waste. This type of waste is toxic to your gums, teeth, and overall health. This causes infections, inflammation, and pain. The underlying cause, then, is the inability of the body’s immune system to control the bacteria levels present. This is usually due directly to the lack of oral hygiene and the contributing factors mentioned above. Many people have the early stages of periodontal disease. This is the time to take action to stop the progression of the condition. In doing so, you can avoid the negative potential outcomes that can occur if you do nothing about your symptoms. What could happen if you do not seek out proper treatment and improve dental hygiene levels? The following are some complications brought on by untreated periodontal disease. Gingivitis progresses to periodontitis: This in itself is troublesome because it now requires more advanced treatments or will lead to significant impact on oral health. Oral infection: Potentially allowing infections that spread throughout the mouth and later to other areas of the body, oral infections can be problematic, especially for those with a compromised immune system. Loss of teeth: Advanced stages of gum disease bring on more risk, including the damage to the gums and underlying bone structure. This leads to teeth becoming so loose they fall out. Often patients need dentures. Abscesses: Once teeth fall out, the gaps left behind can become painful, inflamed, and infected abscesses. Trench Mouth: A condition in which the gums are very painful as are the other tissues of the mouth, trench mouth often leads to the tissue dying off. It is also known as acute necrotizing ulcerative gingivitis. In addition to these risks, studies have linked the presence of gum disease with other, very worrisome health conditions. This includes heart attacks, heart disease, and strokes. Oral health is related to your overall well-being. Consider this. If your immune system is continuously working to fight off the overwhelming amount of bacteria present in your mouth, it cannot adequately fight the other ailments within your body. For all of these reasons, individuals should seek treatment as soon as possible for any signs of periodontal disease. It is far easier to treat this condition during its early stages. We’ve stressed it plenty – you need gum disease treatment if you are suffering from this condition. Not getting proper treatment for periodontal disease is simply a risk too big to take. It will worsen. It will become painful. It will create lasting problems. So if you are searching for a gum disease cure, you need to pay close attention to what is available. There are various approaches to the treatment of periodontal disease. The conventional methods are those your dentist or periodontist is likely to recommend. There are also natural remedies and treatment options that can help many people. Consider the following examples of treatment options available to you. Before discussing natural remedies for gum disease you should be aware of conventional options. In conventional treatment for gum disease, the main goal is to treat and bring the infection present under control. This is not easy to do in most people with moderate to severe forms of the disease. The more advanced the condition is, the more advanced your dentist’s treatments must be in order to overcome the damage. Beyond a doubt, any treatment selected must focus on good at-home oral hygiene and care. Without it, the condition will simply worsen again, leading to worsening symptoms and pain. At its beginning stages, gingivitis is successfully treated by improving oral hygiene and obtaining a cleaning from the dentist. The dentist may also recommend a treatment protocol using medications to ease inflammation and pain. However, the success depends on the individual’s commitment to improving oral hygiene. As the condition worsens, more advanced methods are necessary to treat and overcome this condition. Deep cleaning is necessary. In short, it is what it sounds like – a more advanced level of cleaning and removal of tartar and plaque buildup. It is more invasive than a traditional cleaning. Scaling: One component of deep cleaning is a procedure known as scaling. Either hand-held instruments or ultrasonic instruments are used. This non-surgical method cleans the areas of the tooth not visible. It targets the area under the gum line. Root Planing: In this procedure aimed at the root of the tooth. Here, there are often difficult to treat spots that require removal. It removes bacteria present at the root to allow for healing. In addition to these components, some dentists now use lasers to remove this buildup of tartar and plaque. Laser treatments reducing the amount of bleeding, pain, discomfort, and swelling that most scaling and root planing procedures cause. In many situations, the disease will worsen significantly more so if left untreated. This is when more advanced, invasive, and costly procedures become necessary. This includes surgical treatments. Depending on the extensiveness of the condition, patients may need one or more of these surgical treatments. Flap Surgery: When deep pockets are present and inflammation is significant, even after a deep cleaning, it is necessary for dentists to perform a flap surgery. It removes tartar deposits in these pockets and allows for better cleaning. It involves the lifting of the gums and then removing the tartar present. The gums are sutured into place afterward and are snugly placed against the teeth. Bone and Tissue Grafts: A periodontist may recommend a bone or tissue graft for your teeth as well. This procedure could help to regenerate any lost gum tissue or bone. A natural or synthetic bone is placed in the area where the bone was lost, encouraging new bone to grow in its place. Tissue grafts take material from another area of the mouth and place it on the exposed tooth roots, encouraging new tissue to grow. Pinhole Surgical Technique™: (One example of a newer procedure): This procedure, invested by John Chao, requires no suturing or incisions, but rather the placement of a pinhole into an affected area. This method loosens gum tissue and glides it over the area that is receding. It is minimally invasive and easier to heal from, but still a surgical procedure. This is a new procedure for receding gums. As you look at the list of treatments for periodontal disease, you may be wondering exactly how expensive this could become. It can be very costly, in fact. There is no easy way to put this. If you have extensive treatment needs and use conventional treatment methods, you will pay a significant amount of money to treat your condition. Consider a few estimates, for example. These costs are likely to be different to you based on the type of procedures you need, any dental insurance you have, and the area in which you live. Flap surgery: Costs vary, but on average are about $1100 to $1300. Extensive problems will increase this cost. In addition to this, expect to pay for ongoing dental care, including deep cleaning every six months or less until the condition improves. Additionally, you will likely need to use medications to treat your condition as well. All of this adds up expensively. What you may not realize is that there are natural treatments for gum disease available. Some are worthwhile and others are not. The more knowledgeable you are in the treatment of your gums and oral hygiene, the more likely it will be for you to improve your overall health. Natural treatments focus on natural ingredients. The benefit here is that they lack chemicals and other components that can invade the gums, cause pain, and lead to the worsening of symptoms. Your goal is to improve your health, not to make it worse. For this reason, it is critical for individuals to strive to improve oral health using natural treatments whenever possible. Toothpaste Ingredients — Read Your Labels! You’ve read this information and you cannot seem to understand the problem. You do brush. You even floss your teeth. Why are you still struggling with painful gums and gingivitis? It could be because of the chemicals you don’t know about in your toothpaste. Chemicals of any type are not something you want to put into your body. Chemicals cause negative reactions and can, in some cases, lead to damage of the gums, teeth, and bone structures. Natural products do not contain these chemicals. A few that you need to know about include the following. One of the worst ingredients in your toothpaste is sodium lauryl sulfate, SLS. This detergent causes a foaming action, which is helpful in getting hard to reach areas clean. However, also a skin irritant weakens the tissues of the mouth. It dries the mouth and has been linked to causing canker sores and mouth ulcers in some people. You may not know it but leading toothpaste products contain a chemical called triclosan. It is a type of antibacterial chemical. That sounds good, but it has recently been under intense controversy. Recent reports indicate that it can disrupt the body’s endocrine function. In other words, it triggers the release of harmful hormones into the body. Other studies link this chemical to trigger allergic reactions and to increase the risk of chronic health concerns. In all cases, triclosan isn’t the type of product you want in your toothpaste. It is widely known as a pesticide and yet it is present in 75 percent of the products people use for cleaning their teeth and hands. Fluoride is commonly considered a helpful chemical and nothing to worry about. It was put into drinking water as a way to improve oral health, in fact. However, the fact is there are some risk factors present with this seemingly benign ingredient. However, fluoride is not without controversy. It is an active ingredient in many pesticides. It is a byproduct of the metal manufacturing industry. In fact, it is even used in the development of nuclear weapons. The problem with it in terms of oral health stems from the fact that it can destroy cells. Most specifically, it can damage those that attach the gums to the teeth. This worsens the presence of gum disease and creates deeper pockets. Again, this is not something you want in your toothpaste. This is especially true since you are trying to fight off the problems this causes. If you use mouthwash, which you should do, it may contain alcohol. Those that do promise to kill germs. However, alcohol dries the mouth out. As it dries out the mouth, it can cause a limited amount of saliva to be present. This leads to the prime opportunity for remaining bacteria to grow at a rapid pace. Saliva works effectively to help wash away bacteria buildup and is a key component of fighting bacteria levels through your immune system. A natural remedy is optimal, especially for individuals with a need to improve oral hygiene. Finding a natural gum disease treatment starts with understanding the ingredients available to transform the way your gums feel. The following are some of the best ingredients to look for in this type of product. Again, an all natural solution should work to reduce bacteria levels, stimulate the immune system, and never use any type of chemical that could potentially harm your gums, teeth, or other soft tissues. Spearmint Oil: A product containing spearmint oil is effective because it is a powerful antibacterial. It is able to fight most of the bacteria present in the mouth. It is not just there to help your breath to smell good; it works highly effectively at improving gum health by reducing bacteria levels. 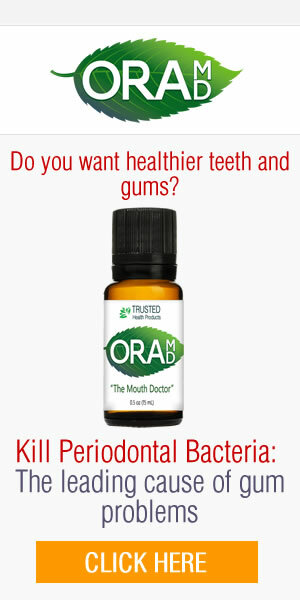 Peppermint Oil: As natural botanical oil, it works to combat any growth of bacteria in your mouth. It does not dry out the mouth, though. It works to get rid of bacteria for hours after an application directly to the gum line. Almond Oil: This oil works as a type of base that allows peppermint and spearmint oils to work together. It is soothing and works to combat bacteria as well. It is natural, of course. In addition, it works to stimulate healing, a process your gums need after the damage bacteria causes. 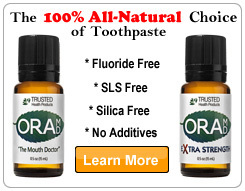 Check out OraMD toothpaste formula, which contains a scientifically proven formula to effectively kill bacteria. Tea Tree Oil: With its outstanding antibiotic benefits, tea tree oil has been shown to be an effective topical treatment for gum disease sufferers. It works to soothe the pain and inflammation while also helping to control bleeding and bacteria levels. Some people do not react well to it, therefore, monitor your initial use. In addition to these oils, you will find that eating a well-balanced diet can help you as well. It works to stimulate the immune system and gives your body the nutrients it needs to heal. Eat a wide variety of vegetables, all organic if possible. This will ensure you are getting the purest form of the vitamins and minerals your body needs to have. Improving your intake of Vitamin C can help, for example. Many people with gum disease have a Vitamin C deficiency. Eat foods rich in it, including grapefruits, kiwi, red peppers, broccoli, and mango, for example. Vitamin D is also important because it works as an anti-inflammatory. You’ll get it from getting moderate sun exposure. No one wants to deal with the pain and discomfort that comes from any stage of gum disease, whether it be gingivitis, advanced periodontitis. The good news is you do not have to do so. With the proper treatment of your condition, using all natural gum disease treatments, you can reverse the presence of this condition by bringing bacteria levels under control. There’s no reason to wait any longer. The use of the right natural substance can change the way your gums feel and give you the reassurance you need to see improvements to your oral health. Hurry up and get a free copy while it lasts! FDA Disclaimer: "These statements have not been evaluated by the U.S. Food and Drug Administration. This product is not intended to diagnose, treat, cure, or prevent any disease."